Science is a rational and methodological approach to study the universe. Mythical stories and blind believes are of no importance in the scientific progress. It progresses through the analysis of theories, counter theories and proofs. So it is not a wonder if one gets surprised when he/she hear “Scientists invented God Particle!. The so called tag of God has invoked hell a lot of misconceptions among the layman. The subatomic fundamental particle Higgs Boson (named after Peter Higgs and Indian scientist S.N Bose), for which its existence has not been proved unambiguously, is known as the “God particle” . It is the Nobel Laureate Leon Lederman who coined it in his book titled “The God Particle- If Universe Is The Answer, What Is The Question”. 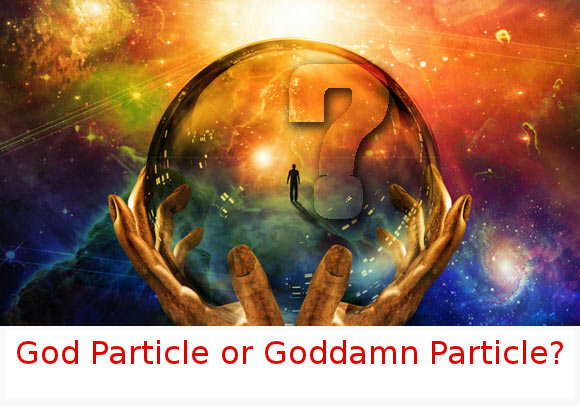 Initially he decided to give the name “Goddamn particle”, which he found more appropriate, but the publisher was not agreeing on that. So that was a commercial name (!) for the publicity of the book. Peter Higgs himself told “it has nothing to do with God, but I can understand why people go that way because it is so important to our understanding of nature”. The experimental proof of its (Higgs Boson) existence has a major impact in particle physics and cosmology. The existence and non existence will result the validation or rejection ( a kind of) of The Standard Model of particle physics. That may encouraged Leon Lederman to give such name. Otherwise it has no connection with GOD or SATAN !. 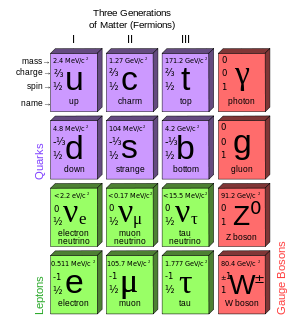 The standard model deals with the fundamental particles and forces in the universe. It contains 6 quarks, 6 leptons (eg. electron) and four gauge bosons (force carriers eg. photon) and studies about their interactions. It had flourished after the unification of electromagnetic and weak forces (1968). Out of the 4 gauge bosons W and Z bosons are massive particle. But adding a rest mass to them violates some basic laws ( gauge invariance). One solution was the introduction of Higgs mechanism in which the particle interacts with Higgs field and gains the mass. The quantization of Higgs field results the Higgs Boson. W and Z bosons have been detected experimentally in1983. The ambiguity was about Higgs Boson. For its detection, scientists initiated big experiments like ATLAS and CMS in the Large Hadron Collider. The experiments involve collision between high energy proton beams. In 2012 April they achieved individual beam energy as 4 TeV resulting a collisional energy of 8 TeV. By 2014 they are planning to increase it up to 7 TeV for individual beams and 14 TeV for the collision. ON July 4, 2012 they have announced about the detection of a particle with mass 126GeV in 5 sigma confidence level (99.999%). This is most likely to be the Higgs Boson. But the more detailed conformation has not come yet. If it is Higgs, this will be the greatest victory of Standard Model. If it is not, something more exotic is waiting to be revealed. This entry was posted in Science and tagged God particle, Goddamn particle, Higgs Boson, Leon M Lederman, LHC, Rationalism, S.N Bose. ← Democracy Hunts the Green ! gud one…but just one think I would like to bring in to your notice……..u mentioned S.N.Bose’s name after Higgs!…..as far as I knw Bosons were discovered first and then ‘Goddamn particle’ was discovered…..right? Oh. I just mentioned since that is the order (Higgs Boson -> Higgs and Bose). Actually S.N Bose formulated the Bose Einstein statistics way back in 1924. He has no direct consequence on this Higgs Boson. Only thing is that this is also follow BE statistics. Boson is a family of particle with integer spin. Is it experimentally proved that Higgs boson has integer spin? It has zero spin. Experimentally.. hmm I think so. Don’t know more about that. One more addition. The theory of weak interaction is given by an Indian, ECG Sudarsan and Mashak. They didn’t get Nobel for that since Feynman and Gell-man have done this simultaneously. So Sudarshan has more direct consequence on Higgs Boson ! Well in the statements, ATLAS and CMS announced the confidence level of 5 sigma. I haven’t gone through the data and don’t know much about the measurements. But I think since both are different measurements, there wont be increase in standard deviation since we are not going to mix up the data. Nice article, in very simple language, it’s really very good for person like me who doesn’t know more about particle physics. Thanks Sanjay. Even I don’t know particle physics. I got help from Guruprasad and many Internet articles !